Solid steel construction to eliminate cracking and breaking, common with cast metal presses. 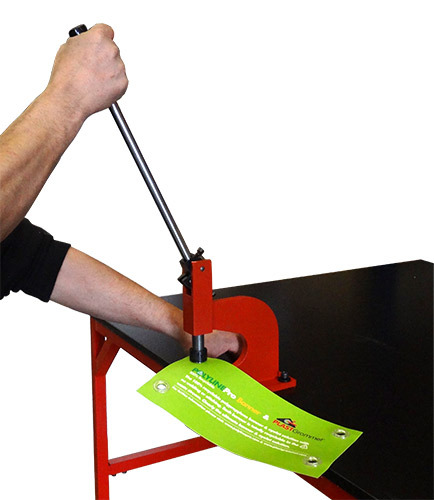 Weighting only 5 kg is perfect to work on ground level with large banners. Possible to work with three eyelet sizes Ø8, Ø12 and Ø16 mm (extra tooling required). HandPro is the latest PLASTGrommet development in eyelet presses for the growing fabric market. 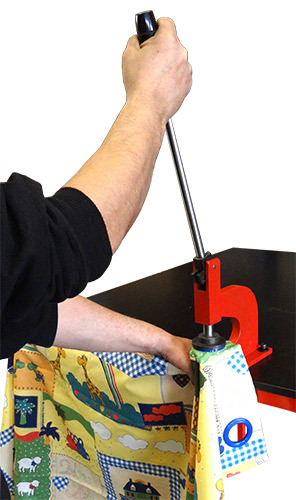 It has been designed to work bench mounted and customer can easily adjust closing of the eyelet so it doesn’t roll even on light fabrics. 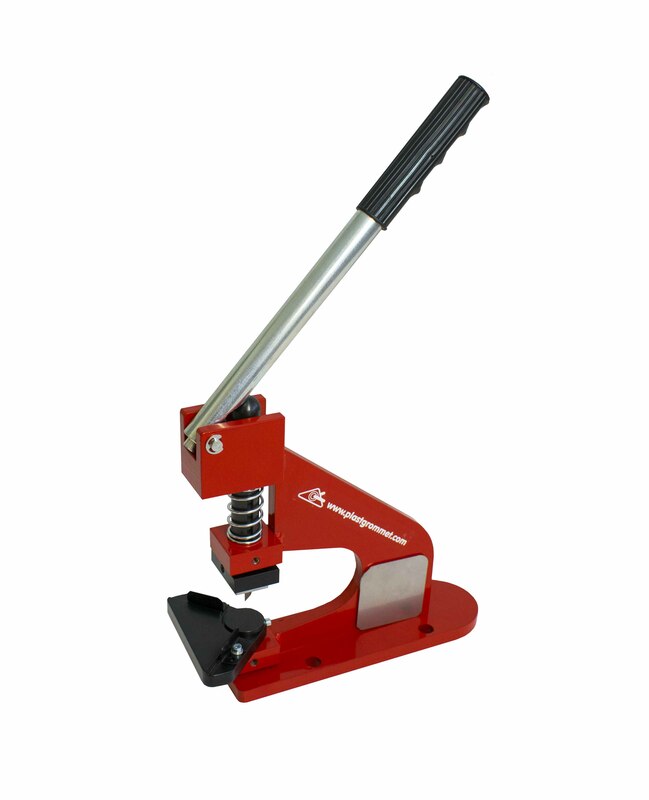 HandPro uses same kind of tooling as the advanced Multipress. Possible to work with Ø8, Ø12, Ø16, Ø25 and Ø40 mm eyelets (extra tooling). Recommended for customers using textiles or making deco curtains. 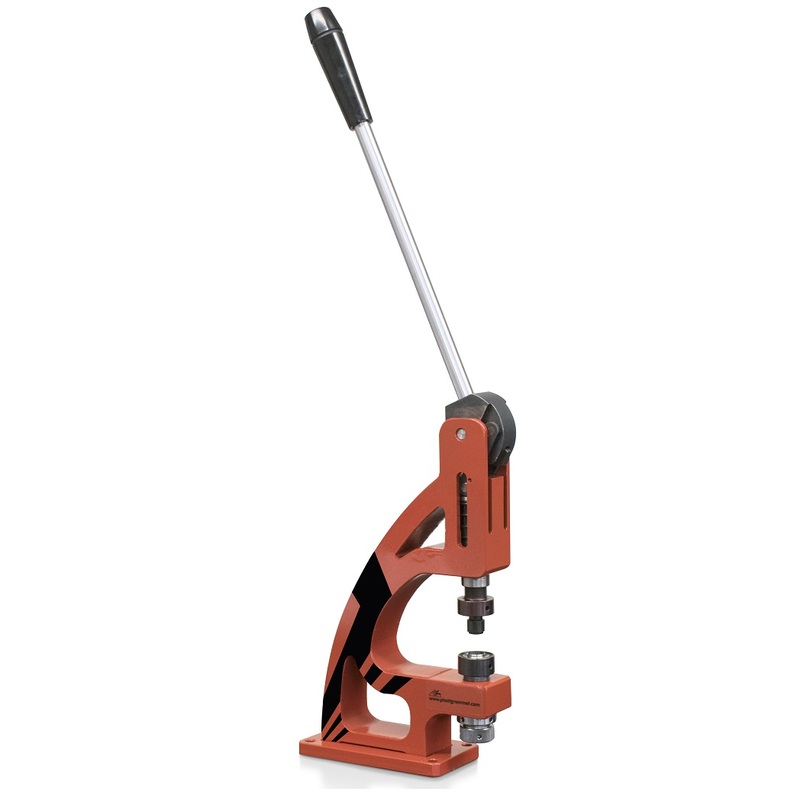 Adaptable to our HPS 025 hand press. Cut materials up to a maximum of 15 mm. thickness. Special accessory to round large plates.